Some of you have been asking me how I promote and grow my blog. To best answer these questions, and since my past blogger tips posts were so popular, I’ve decided to start a series on promotion and marketing across the social media platforms I use most: Instagram, Twitter, Facebook, and Pinterest. This post will be centered on my top social media addiction: Instagram! I was always the one taking pictures. Before the blog, before facebook, and even before myspace, I always wanted to document everything from big events to tiny moments. This is probably why Instagram was my first social media obsession – It’s all about the pictures! While Pinterest is also focused on images, I find Insta to be much more intuitive and easier to engage with others. Pinterest is a link-heavy platform, but on Instagram it’s literally focused on just the images themselves, rather than an image just for the sake of a link to click through. That said, you can very well grow your blog and readership through Instagram! Below, I outline my top tips on doing so. There are a ton of different ways to connect with other bloggers and Instagrammers that are mutually beneficial for everyone involved. One way is with a shout out, where someone tags you in their post and recommends for their readers to follow you. Of course, you do the same for them in return. Similarly, you can team up with others to host a big giveaway, where readers must follow all of you in the hopes of winning a gift card or something equally drool-worthy. Finally, linkups are where you agree to post on a similar topic (i.e., winter dresses), and you all link to each other. All of these tactics allow you to gain exposure to each other’s follower base, which is a great way to gain new followers and promote your blog. Hashtags for days! I have no hashtag shame. Tags allow others to find your picture. If they’re looking for #cats, and you have this tag in your picture, they will see it as long as not too much time has passed since you added the tag. Instagram allows you to use up to 30 tags in each image, so I say why not use them all. Some people frown on this, but if it works I say why not! There are plenty of blogger tags like #lbloggers, #fbloggers, #bbloggers, and even location-specific tags such as #NYCbloggers. These location tags can allow you to find bloggers in your area and make friends! Do some research to find out what hashtags best fit your blog. Type in #coffee, for instance, and click through some of the images that come up. See what other hashtags are being used in pictures that use #coffee – probably things like #mondays, #caffeine & #starbucks. This is how one hashtag can lead you to many more. It’s really important to utilize Instagram’s advantage of super simple engagement features. Search for hashtags that you regularly use, in order to find others with similar content as you. If you like their gallery, let them know! “Like” a few of their pictures, comment on one, and follow them if you feel inspired. This will most likely bring them to check out your gallery and return the favor if they like what they see! Be sure to follow some of the hugely popular Instagram accounts in your area for inspiration. A simple google search for “top fashion/food/beauty/etc. accounts on Instagram” should do the trick. This is the bar to reach for when you put your gallery together. You don’t need to copy their images but seeing that level of quality is what you’re going for. You can also use these accounts to find like-minded users in the comment section of their images. You should only be posting top-quality content; don’t upload a mediocre picture just because you want to put something out there. Your followers would rather wait a little longer for an amazing picture. Also, potential followers come to your page and quickly scroll through your recent pictures. You want to have a consistent gallery of quality images, rather than some good ones among some not-so-good ones. My instagram gallery as of today is below. You can see how scrolling through those you get a sense of my photography style: I like to use bright lighting and bold colors. Other bloggers prefer a black and white theme. Discover a theme you enjoy most, and stick with that- just make sure all your images have a consistent level of quality. That said, I would shoot to publish a post around 1-2 times per day if your schedule permits. You want to be giving out quality content to you readers on a consistent basis, but not so often that it feels spammy. Play around with posting at different times of day to see what gets you the most interaction. A witty caption can make a difference between a good post and an amazing post. Try to mix it up with a quote or song lyrics every now and then! You can also engage your followers with a related question, such as “which of these breakfast sandos would you have ordered? ?” to get the discussion started. Not all posts have to be the same. Every now and then you can shake things up with a motivational quote, food, beauty, pets, or any other type of post you think your followers will enjoy. Many bloggers will have a set schedule such as quotes on Mondays, food on Fridays, and so on to keep it consistent. Get outfit details and follow our NYC adventures here! I see so many pictures on Instagram that are laid out well and have interesting content, but are placed in dim, low-quality lighting. Lighting will make or break a picture! You want bright, natural light for the best results. There are some amazing editing apps out there (I like to use VSCOCAM & Snapseed), which will brighten, sharpen and bring out the best in your images. I’ll be putting out a post on photography and editing apps soon, so stay tuned! Promote your Instagram account on your other social media platforms and your blog to gain more exposure. Twitter chats are great for this at the end of the hour – just be sure not to promote in the middle of the chat. 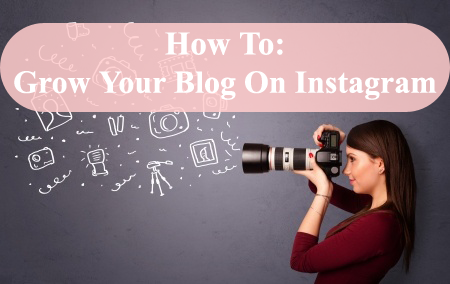 You can even publish blog posts highlighting your week on Instagram to bring focus to your account, as well as hosting your very own giveaway to those who follow your account. And there you have my top 10 tips for growing your blog on Insta! Of course, be sure that you describe your blog in your profile and add your URL. This way, followers can easily translate into blog readers! Don’t forget to check out my food & fashion Instagram account! For more tips on engaging users and gaining followers quickly (without buying any!!) be sure to check out the Instagram Revealed Guides (affiliate link). These helped me get unstuck when I was stagnant at around 3,000 followers, just a couple months later I was at 8,000, and a year later I’m at 25,300! 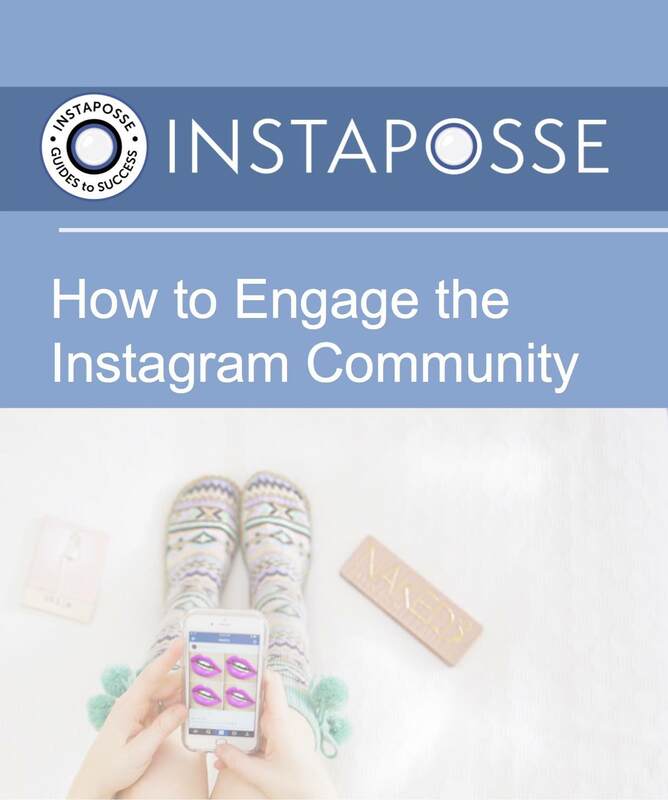 I honestly learned so much from these guides, they’ve uncovered the underlying algorithms to Instagram which gives you a great strategy to include in your routine! Click here to visit INSTAREVEALED.com! Comment Challenge: What are your top Instagram tips & tricks?